Recently, the company I’m working for- Tagtoo, was granted Indonesia Best Brand Awards 2018 by CMO Asia, a prestigious marketing community in Asia, at the 27th World Brand Congress in Jakarta Indonesia. 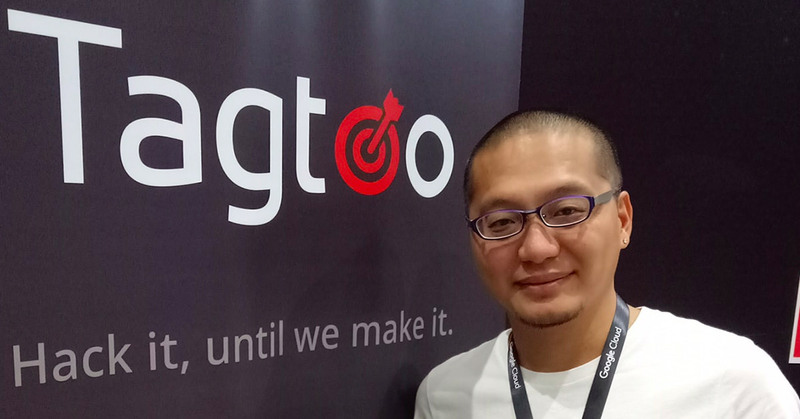 As one of their earlier employees, I am fortunate enough to witness the transformation of Tagtoo from its early stages where we were struggled to maintain clients in Taiwan to its current stage. Now, we have successfully expanded to several locations in Southeast Asia. However, this small achievement we have today did not come easily. We stumbled along, almost failing but never giving up. Finally, after working hard together, we got a grasp on how we could make a breakthrough. This award represents the team’s great resilience and remarkable perseverance despite the uncertainties and hardships ahead. How did we reach this point after struggling to find our way? I hope this piece may give some guidance to those who are striving to find a way out for their startups as we were before. While this might sound cliché and straightforward, it took Tagtoo several years to figure out what clients deeply cared about. What advertisers look for is whether the budget they spend is going to make a positive influence on their business and ultimately drive more sales. That is why we boldly proposed a performance-based pricing plan, such as cost per lead and cost per order. We even accepted ROI-based advertising campaign, which most agencies refused to do. Authentic reporting also matters to clients. To ensure our data is transparent and reliable, we adopted third-party tracking tools. For instance, we use Google Analytics to better protect client benefits and interests, avoiding unnecessary trust issues. Cutting-edge technology and a well-designed banner are not enough to maintain clients nowadays. How your company can significantly add value to the client’s advertising strategy is more important. In any advertising campaign, a guaranteed performance with authentic reporting is the key to winning a client’s confidence. This is a costly lesson we learned during a brief period of time in the beginning. However, we learned quickly and returned to the market with a more powerful and competitive solution. An effective localization strategy doesn’t simply mean hiring local talents and translating website content to local languages. Instead, it should be recruiting a local management team to be decision-makers to run each branch based on experience. Tagtoo has complied with this idea since expanding to Southeast Asia in 2015. We respect the local management’s strategy and allowed them full control on the local business operation—a strategy considered controversial and risky back then. Some people doubted local talents, claiming they lacked a comprehensive understanding of the company’s core competitiveness and future growth direction. Critics even argued that there needed to be a native supervisor to oversee each branch. Actually, the first problem can be solved by a comprehensive educational training, regular two-way communication, and a devised incentives system. The latter critique, similarly, isn’t an excellent move, which might bring about the intense tension and undesired restriction for both parties, namely the local management team and the headquarter. Surprisingly, the result of our counterintuitive strategy is beyond our expectation. The local management team not only successfully launched each branch but also swiftly gained a strong foothold in the increasingly competitive market. To stand out in the ad-tech scene, adopting the right strategies and assembling a competent squad aren’t enough to maintain a leading position. The secret recipe remains lies in how to better utilize the power of technology and subsequently offer matchless services and products. What has long been the backbone of Tagtoo’s core competency lies in years of development of proprietary technology to significantly shorten the entry barrier of adopting the latest advertising technology for advertisers. Tagtoo’s one-stop solution powered by data-driven technology allows advertisers to deliver ads to major advertising networks, such as Facebook and Google, more effectively-- depending on their performance. In addition, the same budget can be used for different advertising channels, which avoid huge hassles for advertisers. The support for Dynamic Product Ads, proven to be effective in driving sales, in different platforms also put us ahead of other industry competitors. Our self-built e-commerce database possesses 6 billion USD transaction data enables new advertisers to discover audiences with a similar purchase intent. Actually, there is a huge gap in terms of digital advertising in Southeast Asia. Most small and medium enterprises (SMEs) are only beginning their online presence and have limited understanding of digital advertising. Thus, Tagtoo’s innovative and leading solution helped to solve these difficulties for SMEs. We helped them enjoy and harness the unprecedented convenience brought by digital advertising. To wrap up, the recognition of this award means we, Tagtoo, are on the right path to success. We appreciate all the difficulties and the obstacles we have encountered and know there are only more ahead. However, they only made us stronger and lead us to where we are now.